boating such as canal barging, and river cruising. also boat reviews on both new and also classic models. world’s leading builders of trawlers and passage makers. 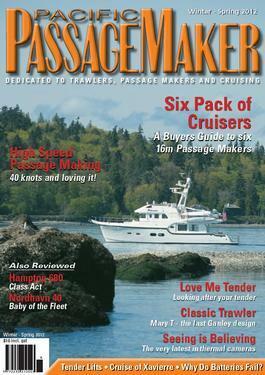 Pacific PassageMaker is a single issue. The printed edition of Pacific PassageMaker is incorporated into the May/June issue of Pacific PowerBoat – you the subscriber receive PassageMaker and the bonus copy of PowerBoat. Please allow up to two to four weeks for your first delivery. Always a great read. Articles are well written and we always find them relevant to our interests. Great new content. Keep it up! A great magazine, i really enjoyed the variety of the stories.